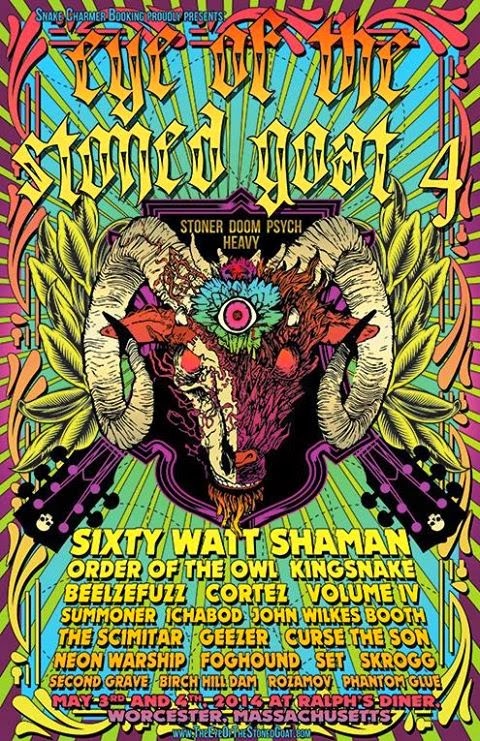 EYE OF THE STONED GOAT 4 festival has been officially announced. The festivities are scheduled for May 3rd & 4th, 2014 at Ralph's Diner in Worchester, MA. and features the reunion of Classic Stoner Rock band Sixty Watt Shaman as the headliner. Heavy Planet along with Ripple Music, 313 INC Artist Management, Electric Beard of Doom and Grip of Delusion will be the proud sponsors of this epic event.